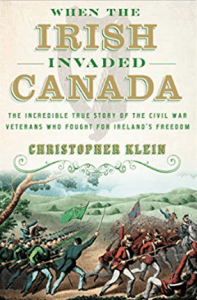 Christopher Klein, author of When the Irish Invaded Canada: The Incredible True Story of the Civil War Veterans Who Fought for Ireland’s Freedom (Doubleday, 2019), is set to share the true story of the Civil War veterans who fought for Ireland’s freedom by launching attacks on Canada, on Monday, April 8 at 6:30 pm at the American Irish Historical Society in New York City. 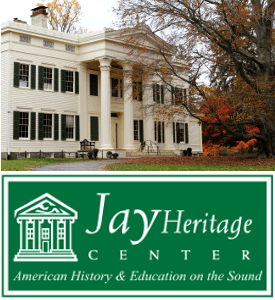 When the Irish Invaded Canada tells the tale of a band of Irish-Americans who fled the Great Hunger in Ireland, fought on both sides of the Civil War, and then united to undertake one of the most fantastical missions in military history — to kidnap the British province of Canada, hold it hostage, and ransom it for Ireland’s independence. With the tacit support of the U.S. government, the self-proclaimed Irish Republican Army attacked Canada not just once, but five times between 1866 and 1871 in what are collectively known as the Fenian Raids. Christopher Klein is the author of four books, including Strong Boy: The Life and Times of John L. Sullivan, America’s First Sports Hero, and a frequent contributor to History.com, the website of the History Channel.